Despite mounting concerns about groundwater, the SLO County Board of Supervisors approved the final phase of the Monarch Dunes development in Nipomo, paving the way for 163 new single-family homes on 143 acres. On March 6, supervisors voted 3-2 to deny a neighborhood appeal of the conditional use permit granted to developer Monarch Dunes LLC. Craig Merrill and Neighbors challenged the permit on the basis that the water landscape had "irrefutably changed" since the project's original environmental impact report (EIR) was done in the early 2000s. FINISH THE JOB SLO County supervisors gave the green light to the final phase of the Monarch Dunes development in Nipomo on March 6 despite concerns about water supply. 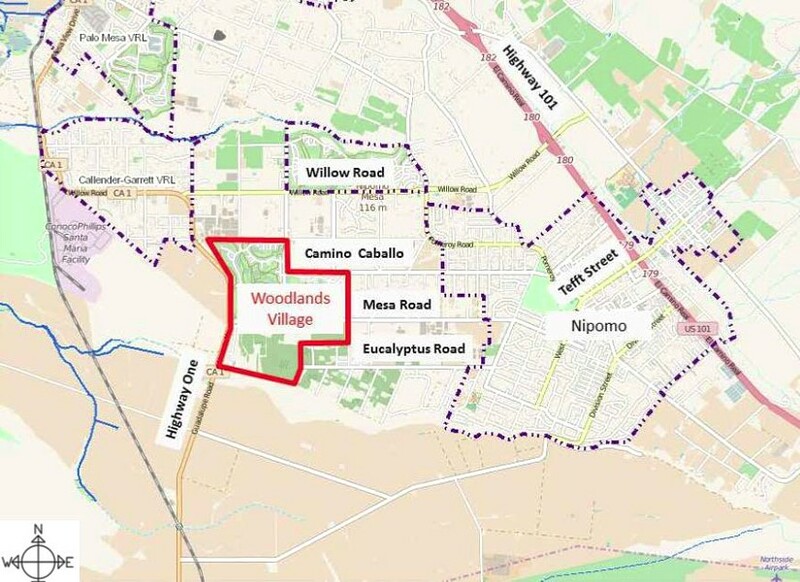 The Monarch Dunes community, which already has more than 1,100 housing units on 957 acres, draws water from the Santa Maria Valley Groundwater Basin and is served by the Woodlands Mutual Water Company. Recent well reports show groundwater levels on the Nipomo Mesa are "severely" low. "The fact is there is not enough wet water in the basin right now," appellants' representative Dennis Delzeit told board members. But project representatives contended that the last phase of the project would be "water neutral," thanks to a pipeline from Santa Maria set to bring 2,500 acre-feet of water per year to the Nipomo Mesa. As part of an adjudicated basin management plan, Monarch Dunes will buy 17 percent of that supplemental water, essentially counteracting the additional demand on the basin by the new homes, the developers argued. "It was a critical decision and I know that they're glad they made it," project consultant Jamie Jones said about the pipeline. Fourth District Supervisor Lynn Compton, who represents Nipomo, sided with the developer, emphasizing Monarch Dunes' financial contribution to the Santa Maria pipeline, touted at $4 million to $5 million by Woodlands Mutual Water Company General Manager Rob Miller. "Had it not been for these agreements, we wouldn't have supplemental water," Compton said. Supervisors Bruce Gibson (2nd District) and Adam Hill (3rd District) voted against denying the appeal, agreeing with the appellant that groundwater levels were too low to be green lighting the last phase of the project. "I can't find that the environmental analysis in this 20-year EIR is adequate at this point," Gibson said. "I think climate change here is germane, specifically to the reliability of supplemental water. It doesn't come from some other planet. It comes from a different part of the same basin."